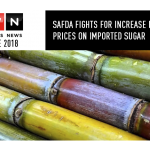 DURBAN – South African Farmers Development Association (Safda) affiliated members are appealing to the government to intervene urgently in the plight of small-scale sugar-cane farmers which has left them in dire straits. The 15 000-member organisation, which focuses on improving profitability and sustainability for small-scale and land reform sugar-cane farmers, held a protest yesterday at the Department of Trade and Industry offices in Pretoria. The protests started on Monday and are scheduled to continue for the rest of the week. Safda deputy secretary Francis Moonsamy said the situation was so bad that it was putting farmers out of business. “We have farmers working hard and others even putting in their pension money, but getting nothing in return. We used to have 50000 members, but now we have only 15000, meaning the rest have been forced out of business,” said Moonsamy. Moonsamy has blamed their plight on the cheap imported sugar price, which he said did not even benefit the consumers at large. These small- and large-scale farmers’ protests were also in support of the sugar industry’s application to stop sugar imports by increasing the dollar-based reference price for sugar. The industry applied for an increase in the dollar-based reference price for sugar to increase from $566/ton (R7798) to $856.32/ton last month. 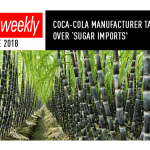 This was in response to the continued influx of duty paid imports, the current level being inadequate and below cost of production and as a mitigation measure against the impending Health Promotion Levy, generally known as the sugar-sweetened beverage tax. 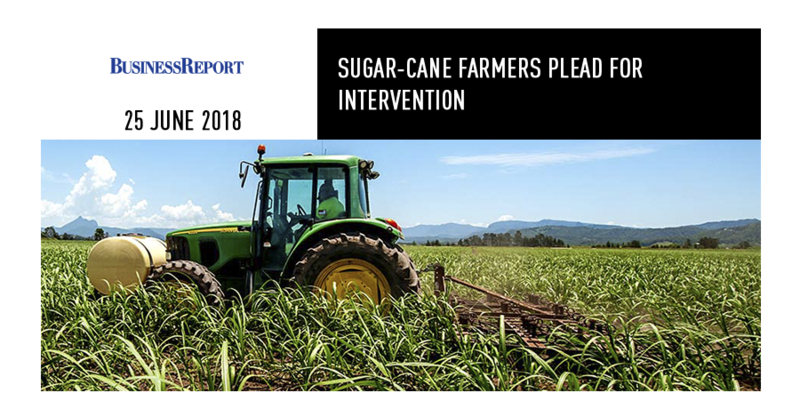 The sugar-cane farmers said the industry had long been on a downward trend, which was having a catastrophic effect, particularly on KwaZulu-Natal and Mpumalanga small-scale sugar-cane growers. “The economies and a number of the rural households in these provinces are heavily dependent on sugar-cane production to survive. It’s worth noting that small-scale sugar-cane farmers have small plots of land, sometimes as little as 0.5hectares, so the economies of scale are not feasible,” said Safda. The International Trade Administration Commission of South Africa has undertaken to deal with the matter urgently, with oral presentations from Safda among other role-players scheduled for Tuesday next week. Safda wants the process, which could take months, to be fast-tracked as they say that they do not have that time.